We believe that competitive sports offerings teach the value of working together. Sports activities at Holy Cross include volleyball, girls and boys basketball, softball and baseball. Students are charged a fee to participate. Transportation is provided to games off campus. It is the parent&apos;s responsibility to provide transportation home. Because Holy Cross is a Catholic school, our athletes represent not only our school, but our community and faith values, as well. We require each athlete to conduct themselves with a high standard of respect for self and others and good sportsmanship at all times when participating in athletic programs - both on and off the playing field. Student athletes must maintain an acceptable academic level to participate in athletics at Holy Cross. Sports participation in Fifth and Sixth Grade is meant to teach the fundamentals and for all to have fun. To that end, attempts will be made by the coaching staff to give equal amounts of playing time to every student, regardless of ability. This includes tournaments. Sports participation in Seventh Grade transitions from playing for fun to a traditional team emphasis. The expectation is that there will be equal playing time at the beginning of the season, then transitioning to starters who may have more playing time for remaining games. All players should see at least some play time in each game. 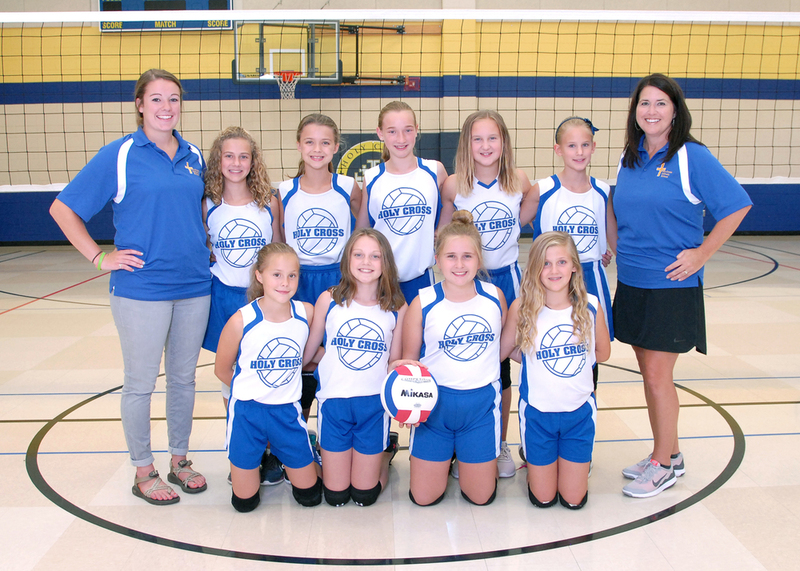 At the Eighth Grade level, there is a team structure in place with starters identified in an effort to win more games throughout the season. At this level, all athletes should understand that not every player starts in every game. The coaching staff is still encouraged, but not required, to play every player in every game, if possible.